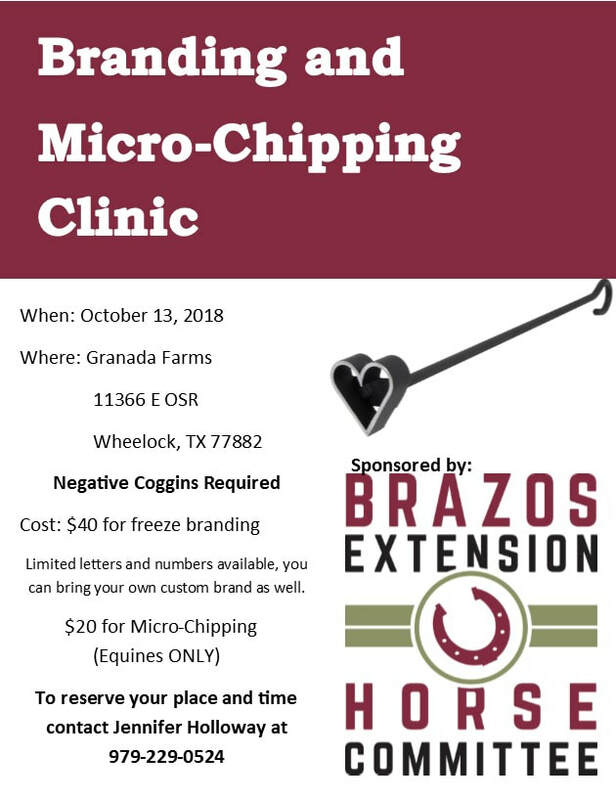 The Brazos Horse Committee is a group of dedicated equine enthusiasts committed to "Educating, Serving, Connecting, Promoting, and Leading". 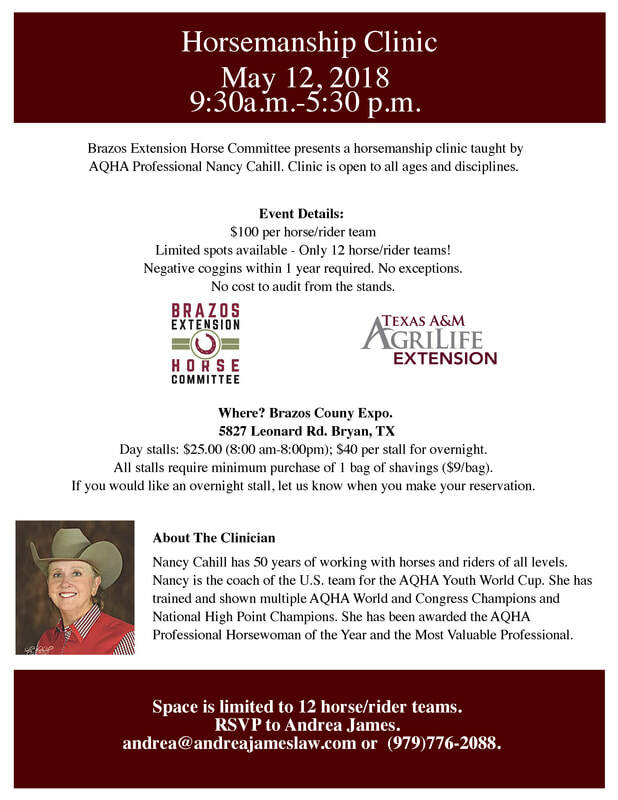 Our committee is overseen by the Brazos County Cooperative Extension Service. 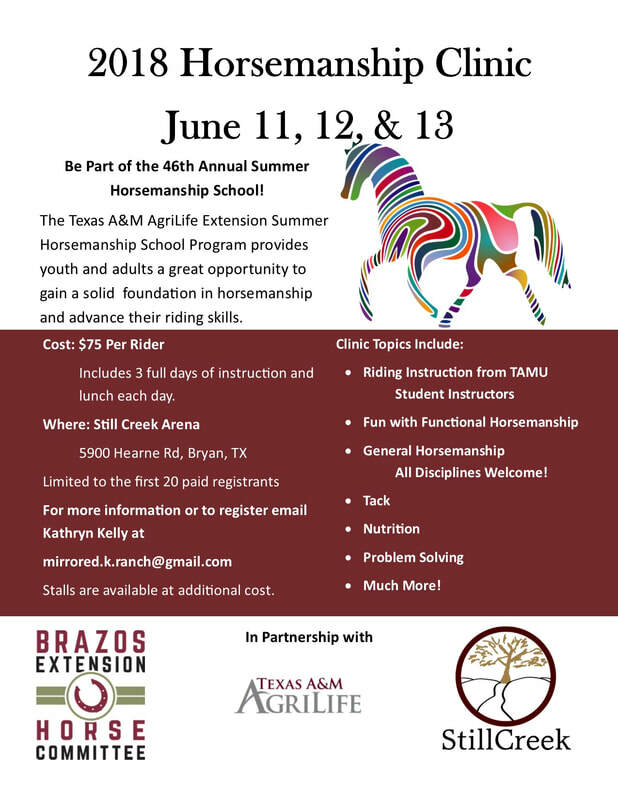 Riding spots for the May 12, 2018 Horsemanship Clinic are FULL. Auditing is FREE and unlimited! 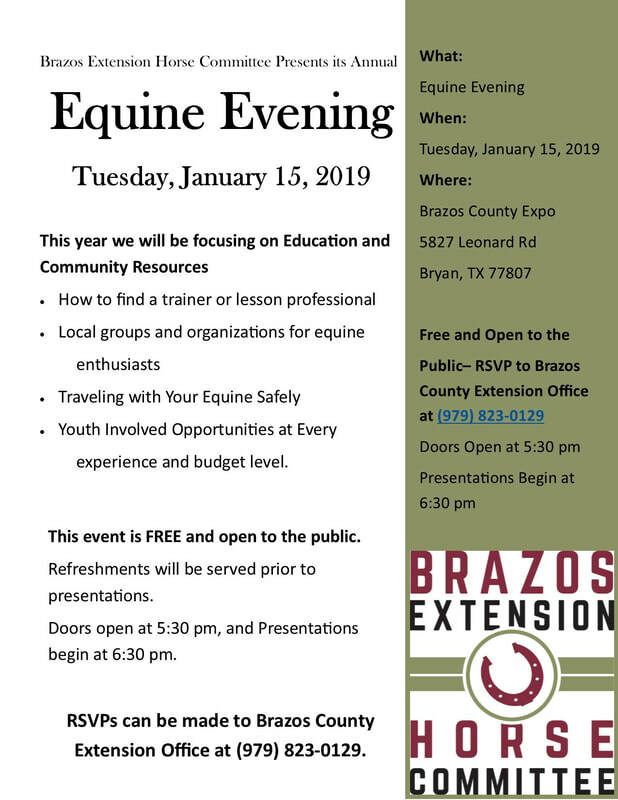 The Brazos Extension Horse Committee has been hard at work refining annual events, and coming up with new and exciting opportunities for the Brazos area! As we have grown and updated our outreach we decided we needed to update our logo as well! 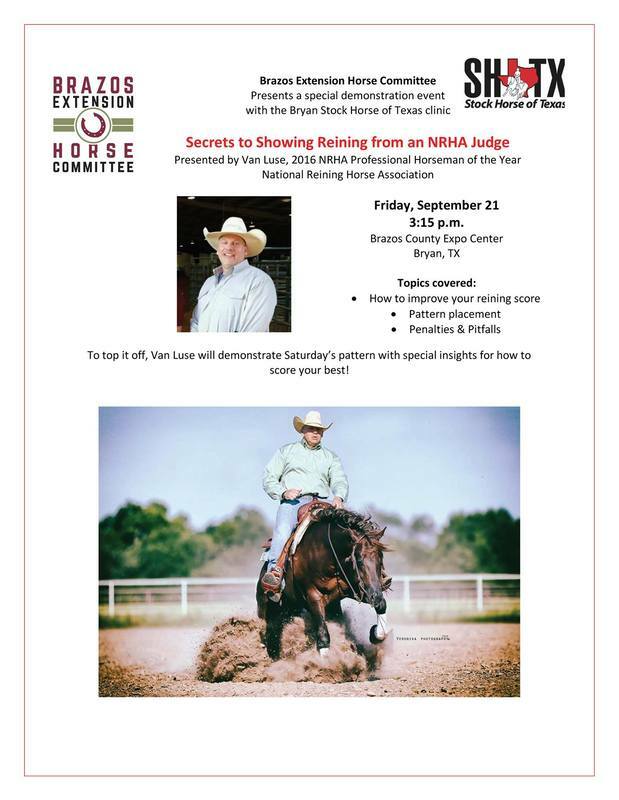 The Brazos Horse Committee is committed to helping the horse owners and horse enthusiasts of Brazos County. 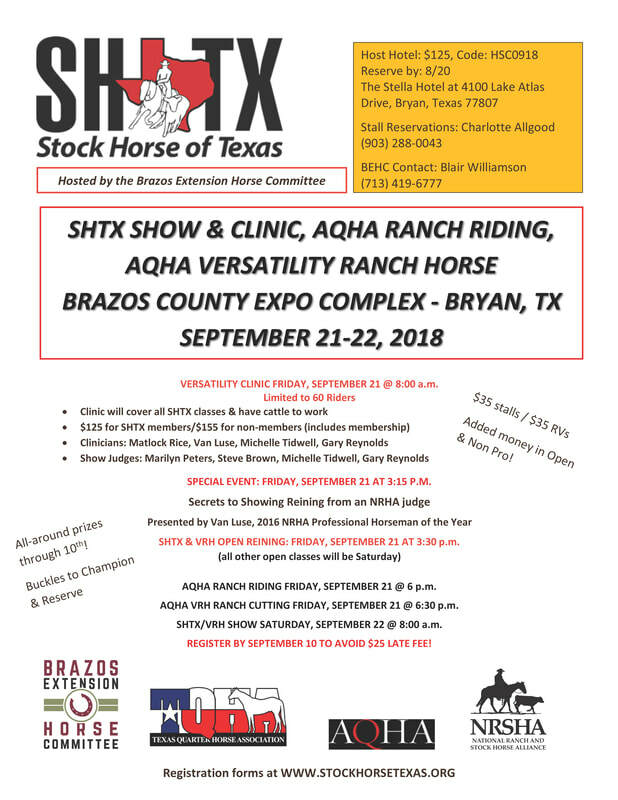 On our webpage you'll find information on local equine vendors and service providers, a calendar of events in and around the Bryan/College Station area and more! Have an event to add to our calendar? Fill out the form on our Calendar of Events page. Have a vendor or service you'd like us to add? Fill out the form on our Local Equine Vendors and Services page. Still have a question, comment, or concern? Contact us at brazoshorse@gmail.com. We look forward to hearing from you soon!